Free download Ashampoo Burning Studio latest version. Ashampoo Burning Studio is free application software to burn your CDs or create image files. Ashampoo Burning Studio is developed by Ashampoo GmbH & Co. KG. This software is free to use so you can easily create CDs or Bootable CDs using this program. 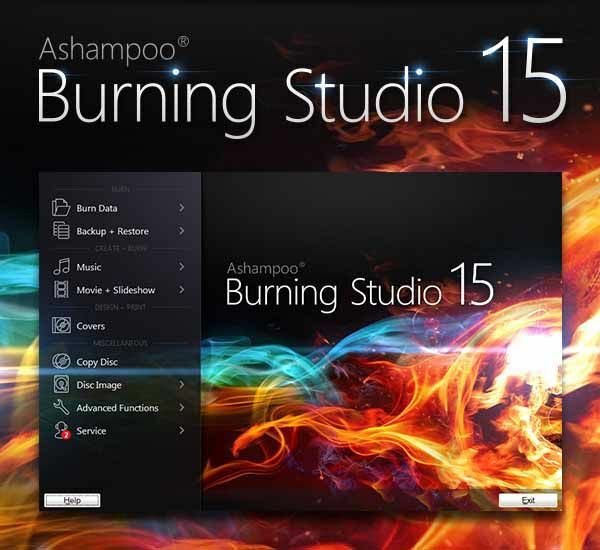 Ashampoo Burning Studio is very easy to download and install. First of all download the setup file from the download link given below. After download, run it to install. When the installer of the software will start, you can check the system requirements. You will see the button to check the system requirements at bottom left side. When you click on it, it will take you to the website. To proceed the installation process, click on Next button. During the installation, you are asked to install some additional but not necessary programs. You will see two options; e.g. free download and install, and No, thank you. To skip this, you have to select No, thank you option. After that, the program will install and you are ready to use it. When the program will run, you will see options Burn Data, Backup + Restore, Music, Movie, Copy Disc, Disc Image, Advanced Functions, Erase rewriteable Disc and Covers. You can use any option according to your need.